Product weighs 4 oz and is 7″ x 10″ including the pre-punched hanging bag. 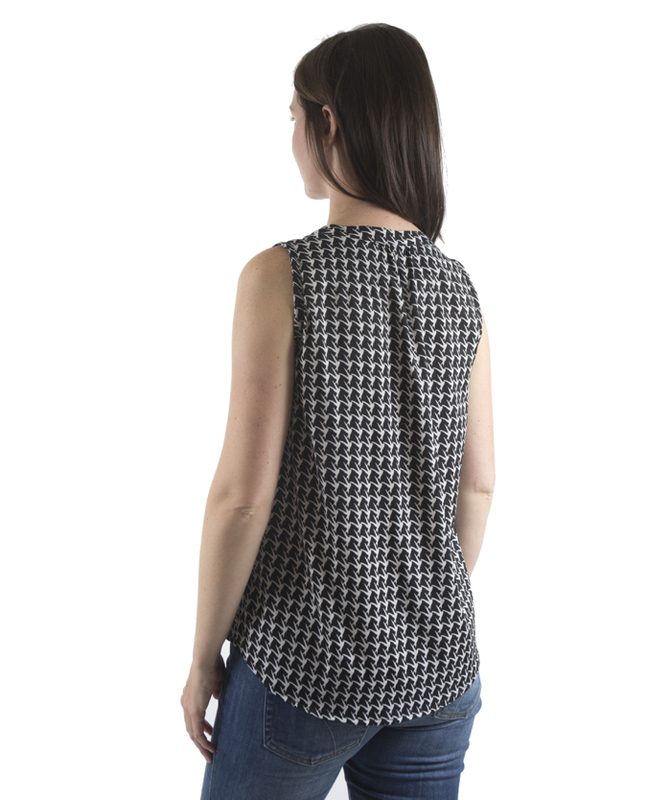 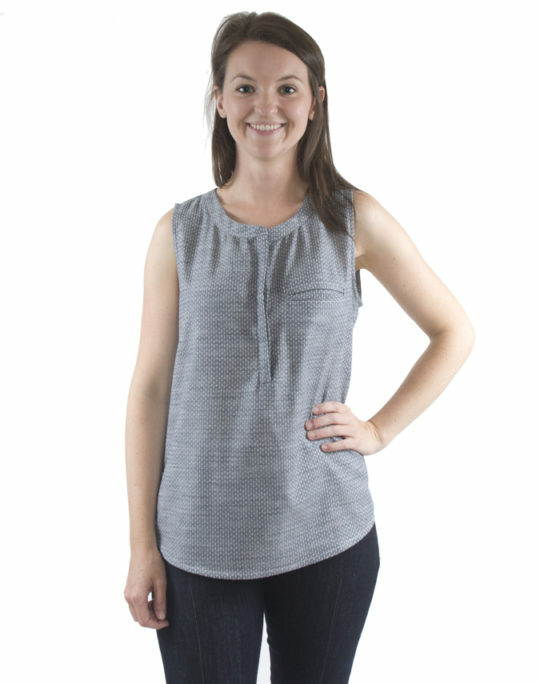 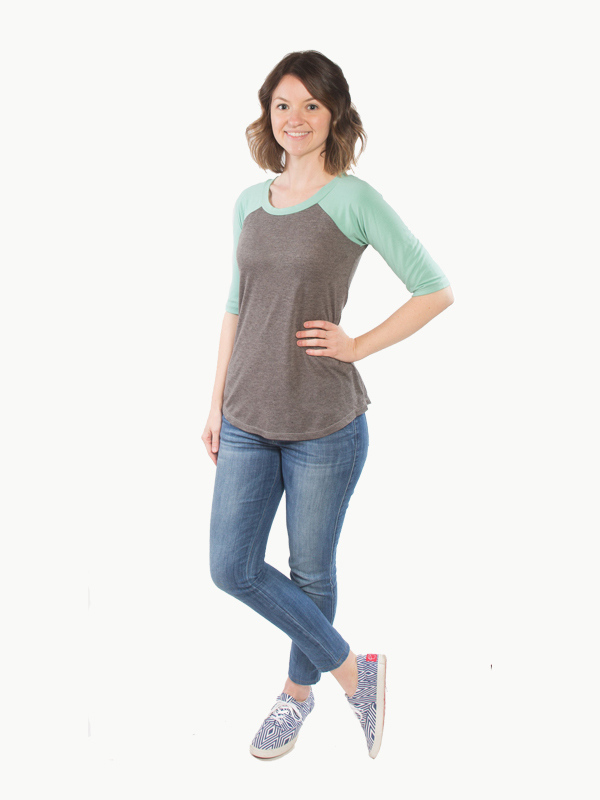 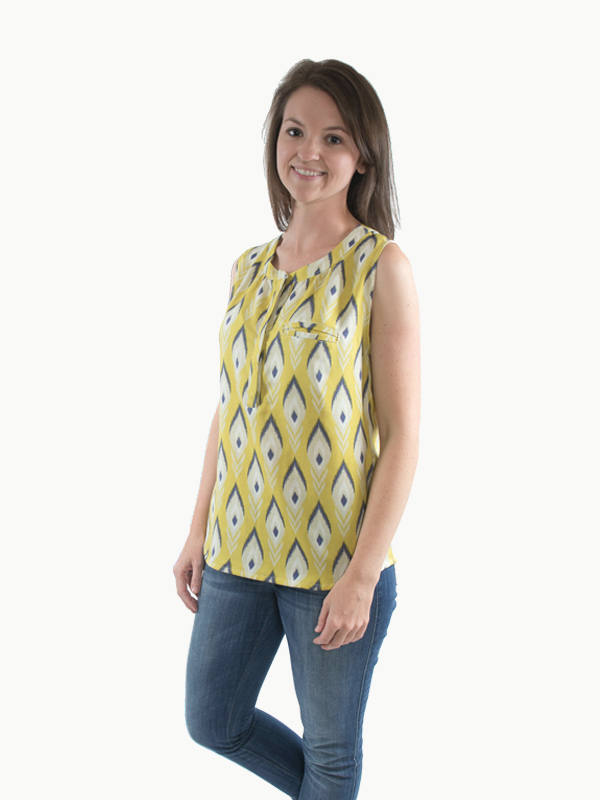 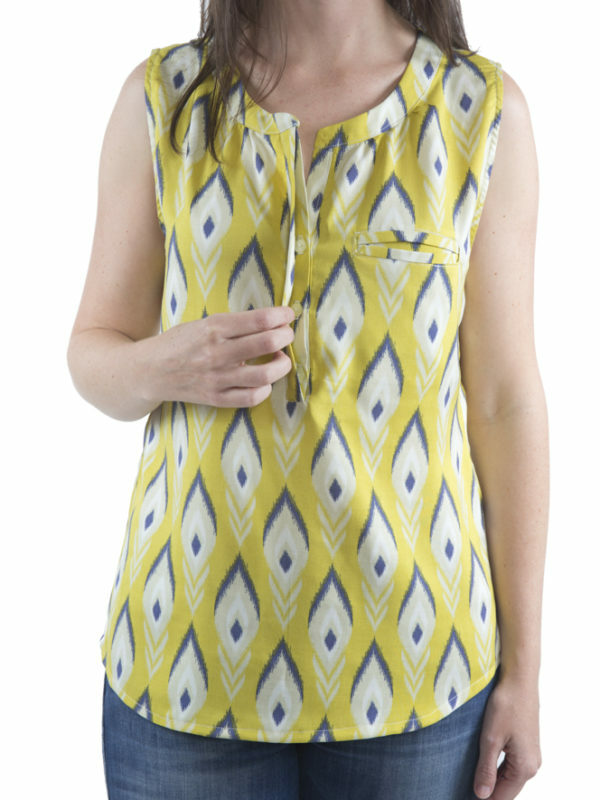 THE BISCAYNE BLOUSE is a casual yet classy top that easily goes from office to errand running to date night. 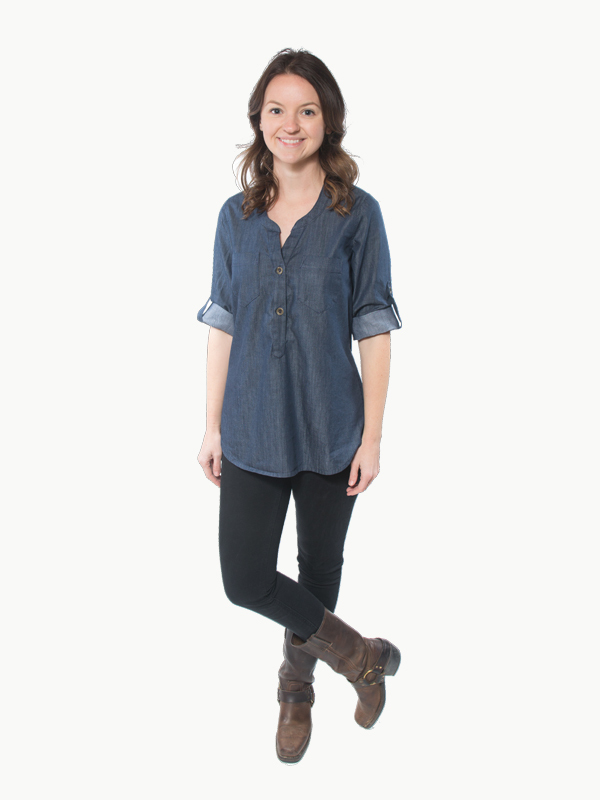 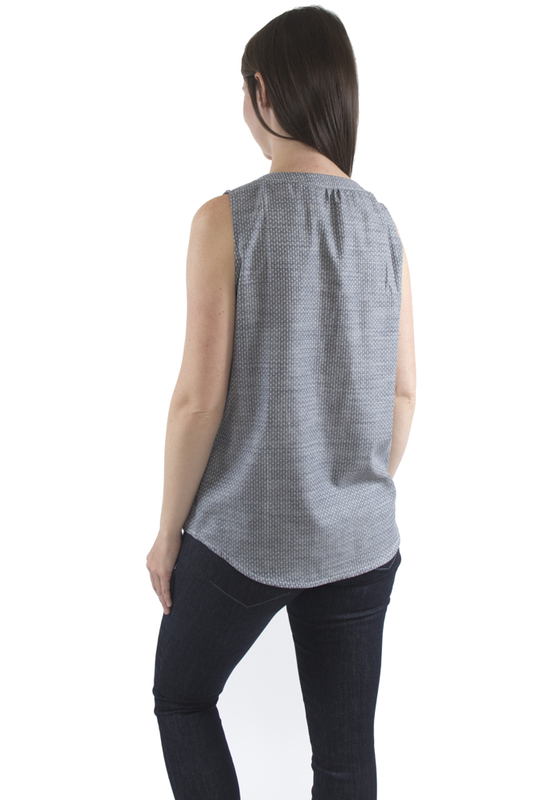 It features a hidden button placket, welt or patch chest pocket, and shaped neckband. 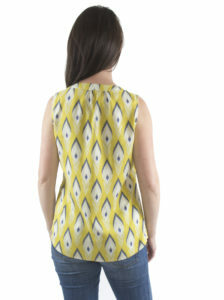 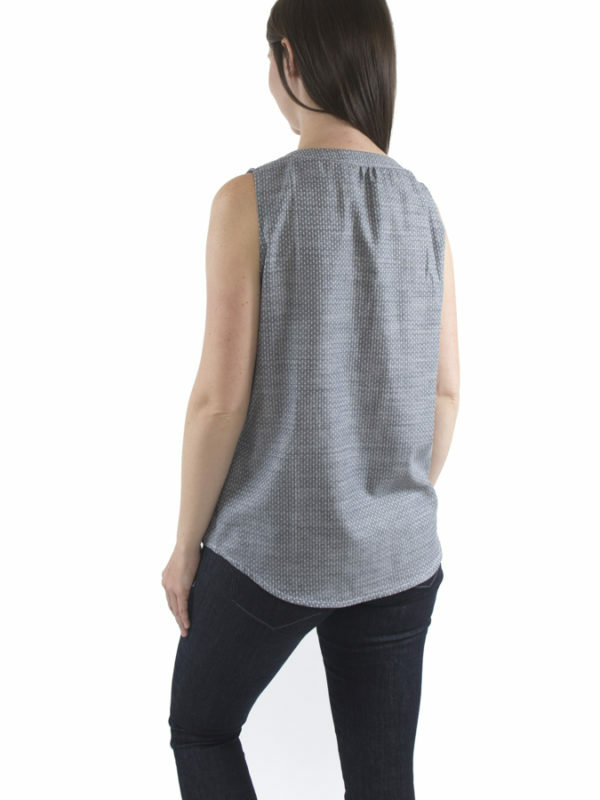 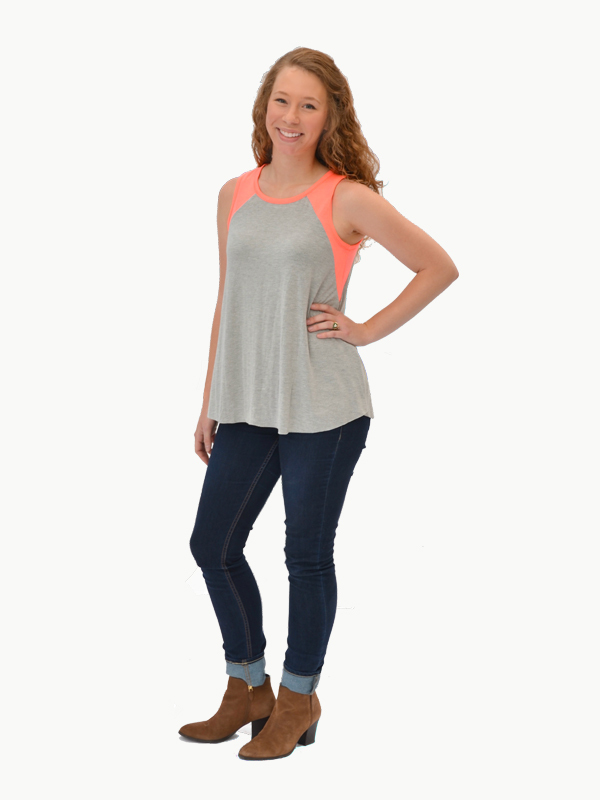 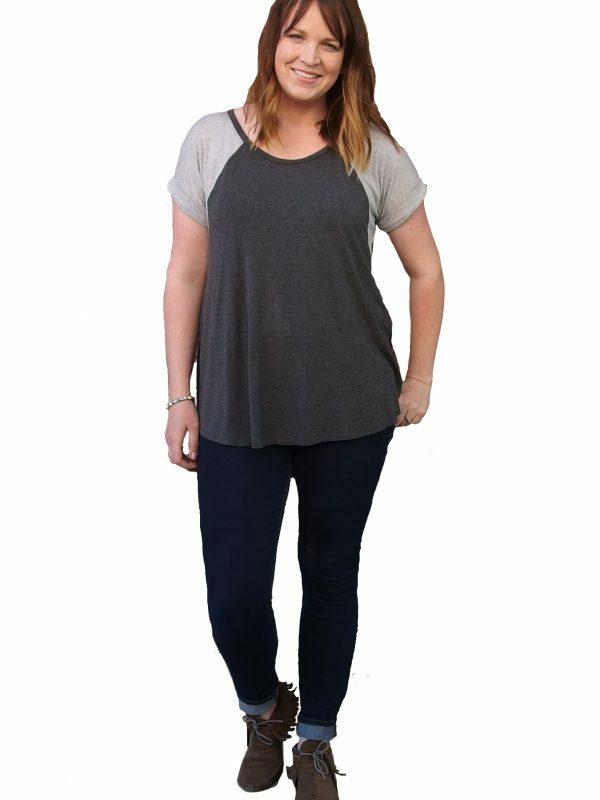 Gathers at the front and back neckline add detail and give it an easy fit. 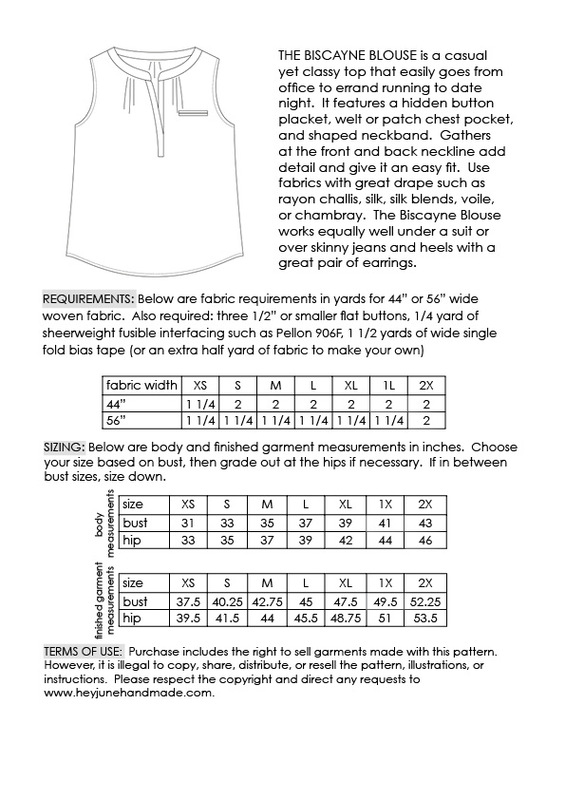 Use fabrics with great drape such as rayon challis, silk, silk polyester, voile, or chambray. 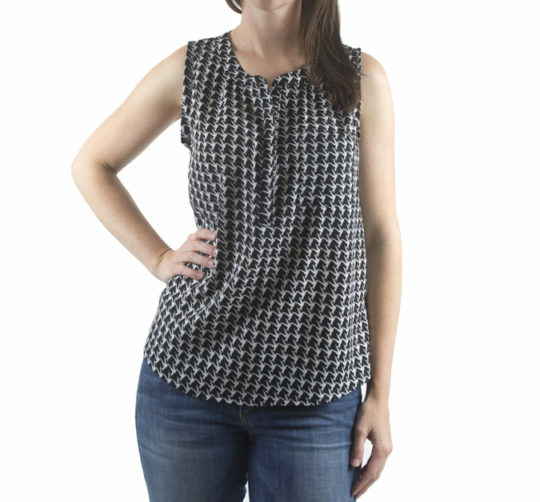 The Biscayne Blouse works equally well under a suit or over skinny jeans and heels with a great pair of earrings. Read all about it here, and see tester pictures here. You can also follow along with full pictorial step-by-step directions in the Biscayne Blouse Sew Along! 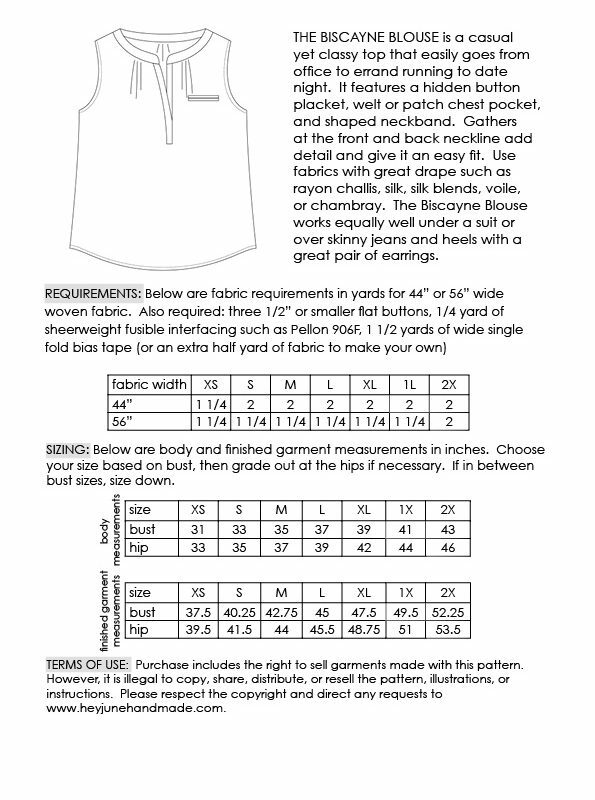 See more pictures of the finished garment in the .pdf listing.